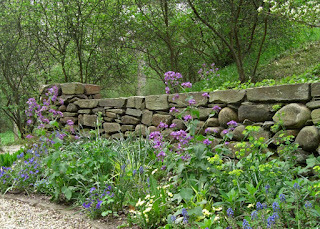 Dumbarton Oaks is a glorious place in the spring. It's easy to trick yourself into believing that you are in England, instead of just a few miles from the White House. At the moment, the flowers growing inside the Lilac Circle are a lovely mix of blues, purples and pinky-violets. Yellow pansies make all those flowers from the cool side of the color wheel sparkle. It's a good example of why pairing complementary colors works so well. 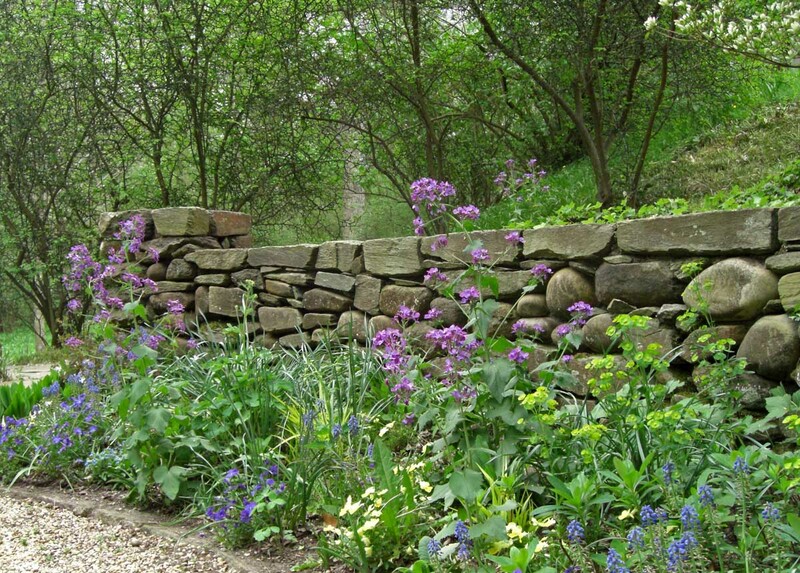 Of course, it always helps to have a beautiful stone wall to set off the phlox, forget-me-nots and scillas.